Dragonstairs Press Stirs and . . . Awakens? 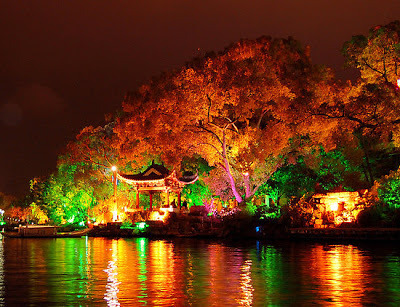 I am currently working on a chapter of Hunting the Phoenix, my new Darger & Surplus novel, set in Guilin. Guilin is one of the most beautiful places I've never been to. I'd arranged to go there (among other places) earlier this year, but a badly-timed cold (the airport in Beijing has thermometer gates to catch anyone running a fever so they can be placed in quarantine) put the kibosh to that plan. Nevertheless, Marianne went and afterward told me about it. I've been dreaming about it ever since. 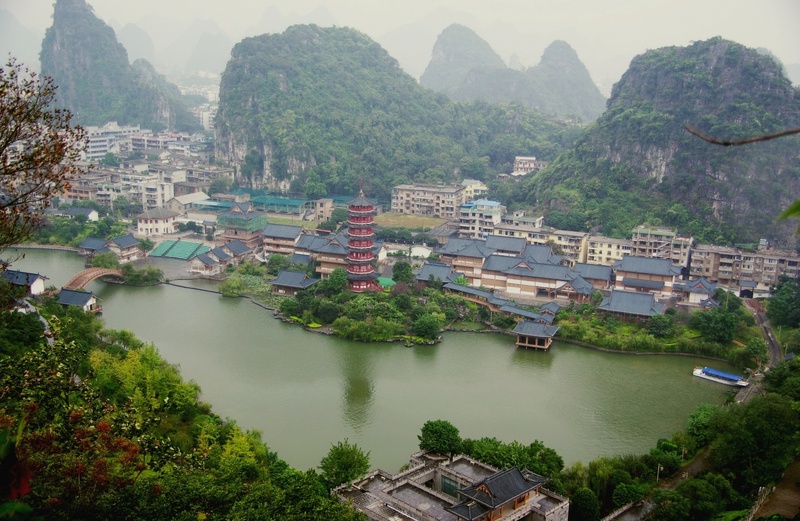 Guilin is a city of roughly one million people, punctuated by karst mountains. Wooded mountains, right in the middle of the city! Even better, these are those beautiful mountains that Chinese artists have been painting since forever -- the ones that look too good to be true. It turns out that in the morning when the mists gather about their feet, they're even lovelier than you refused to believe they could be. All of the mountains, and there are many of them, are riddled with caves, both natural and man-made. They're all hollow! On the waterfront, at night, all the buildings are lit up with colored LEDs. Oh, man. I have got to return to China. Are those specially prepped images from some commercial/official source or are they photos you took? Either way, the place looks beautiful. Still, if you can just walk around and the place looks like that, it must really be amazing. Those are images lifted from a tourist site. But Marianne tells me that, if anything, they make Guilin to look less beautiful than it is. Hard though that may be to believe.